WP-HR Attendance lets you monitor attendance and lateness. 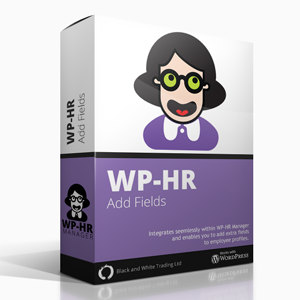 You can set up employees with either standard office hours or shifts and they can check in and check out from the dash board in WP-HR Manager. 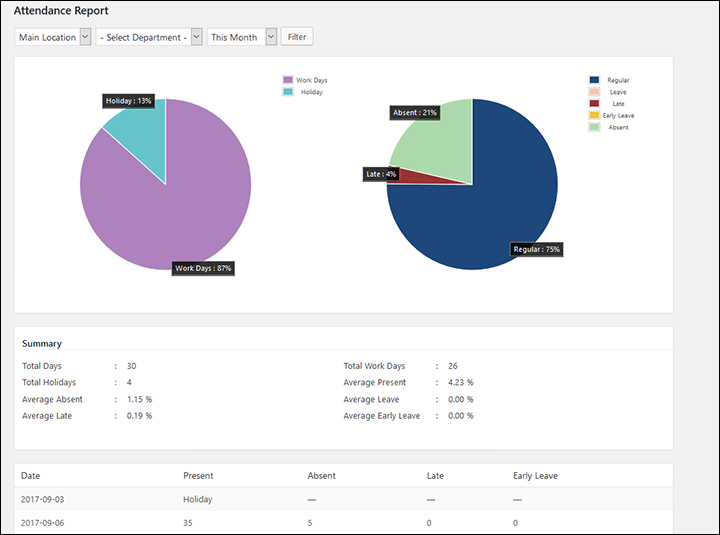 Clear reports allow you to see who is in adn when they arrive and leave, enabling you to spot trends in attendance behavior with confidence.